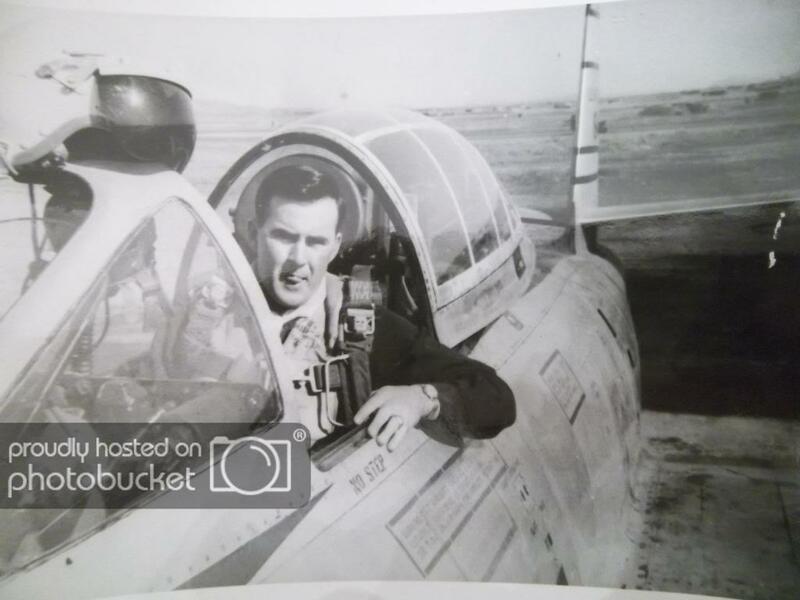 pilot is Col. Joe Davis Jr. Wanted to add these earlier but didn’t have access to my pics from my visit to the USAF in Dayton in November. Absolutely Gorgeous! Great paint job and so so colorful! Nice-lookin’ build, Mr. Mack….very nice indeed. 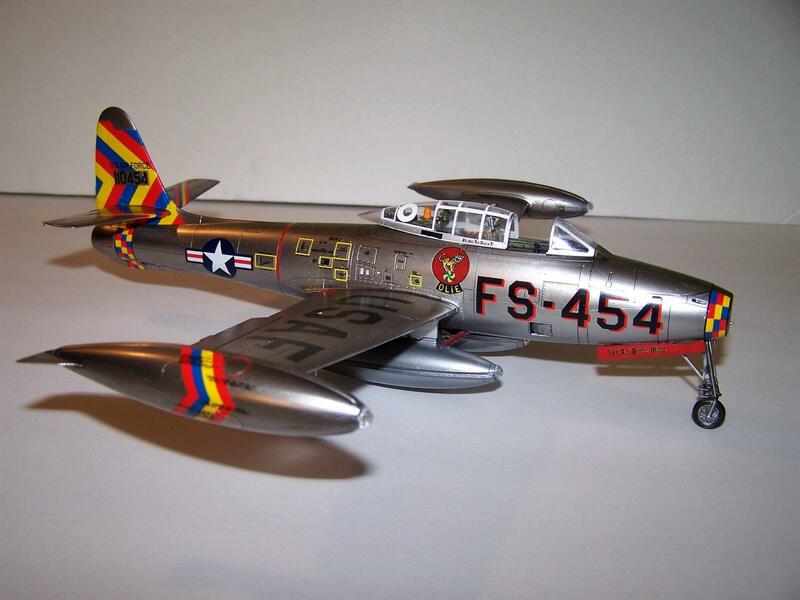 This plane and George Laven’s F-100 and F-104 represent everything I like best about 1950’s USAF!! Ooooooh. THIS is special. Thanks for sharing, Bob. A delight to see. Ah, Bob. I’m itching to do another carrier. I figure I learned a lot on a steep curve with the Enterprise this year and that 1/200 Hornet (I’m guessing you’ve seen it…) is stuck in my brain like a colonic parasite. Thanks for supporting the series, Bob. Hope you have a great 2019. Great build and a lovely colorful finish. What did you use for the NMF? 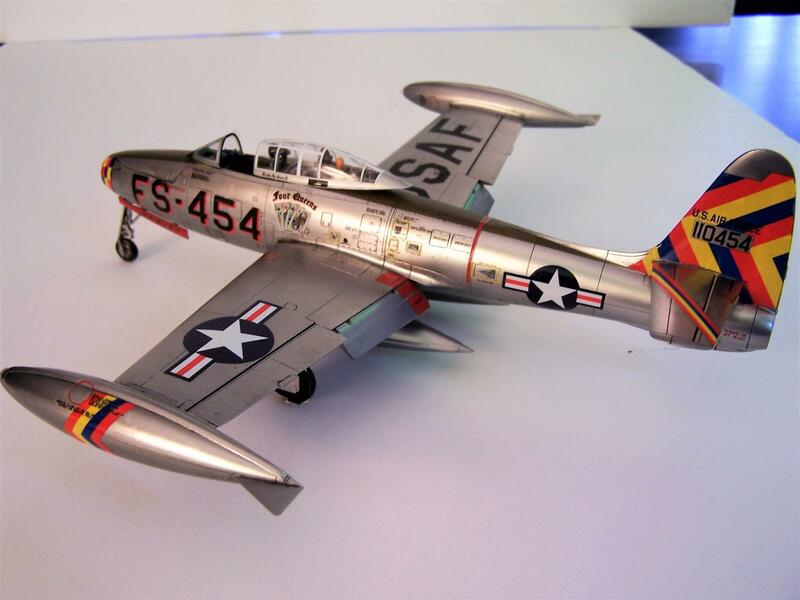 It makes me want to drag out an F-84 from the stash! 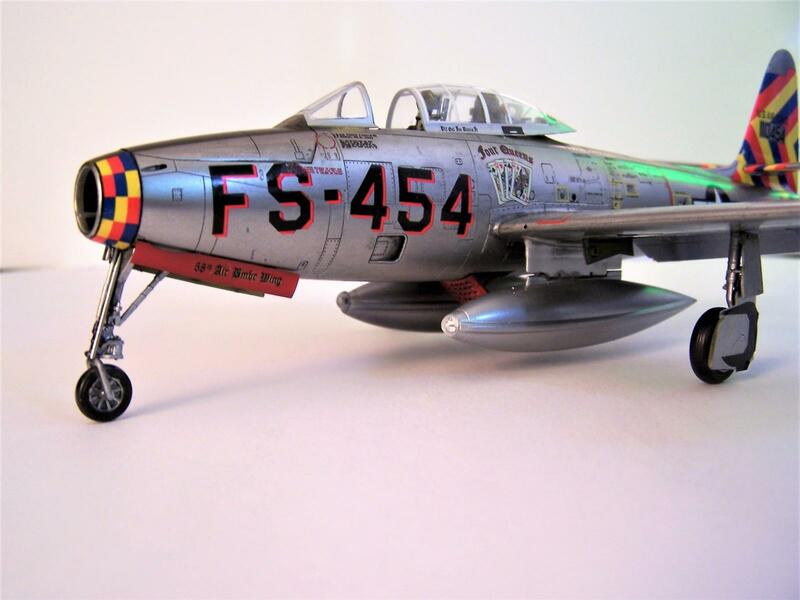 Bob, this is a great F-84. I like all the versions, but these straight winged models are very handsome. Oh – and your photos are excellent! Very nice build. 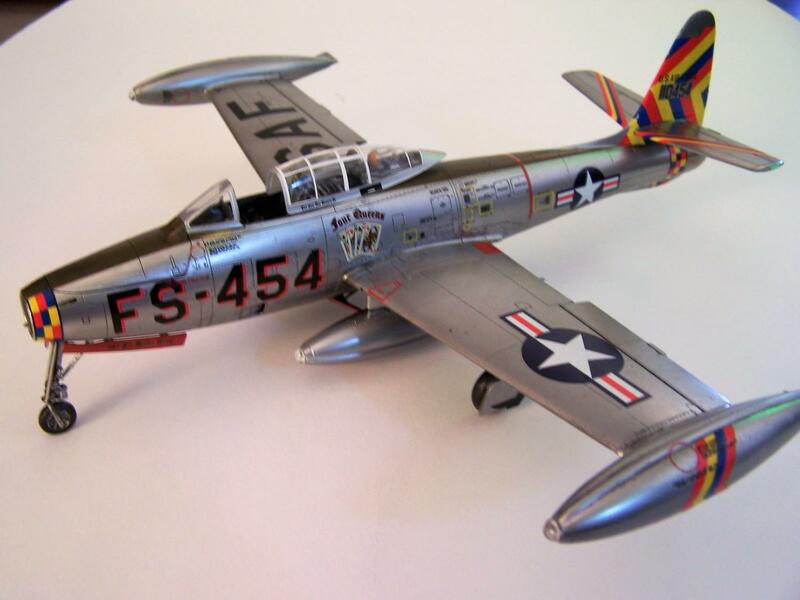 The Thunderbirds inherited their aircraft from their predecessor team, the Skyblazers, which originally had flown F-80s. 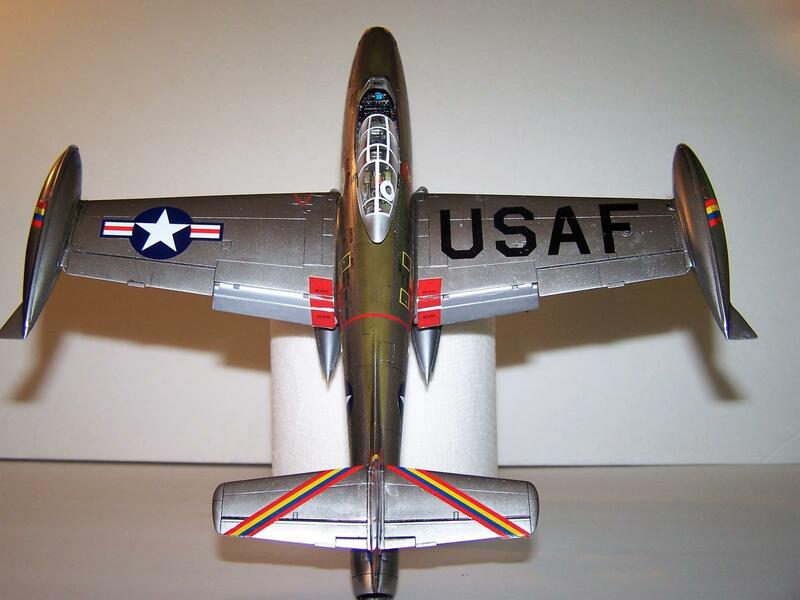 It is still possible that the T-birds’ name was derived from this aircraft, although I believe the T-bird pilots hated it, as did almost all who flew the “Repulsive Blunderjet.” You made a fine job of it! Just beautiful!! A great looking Republic Thud craft. Nice explanation on those canopy frames. 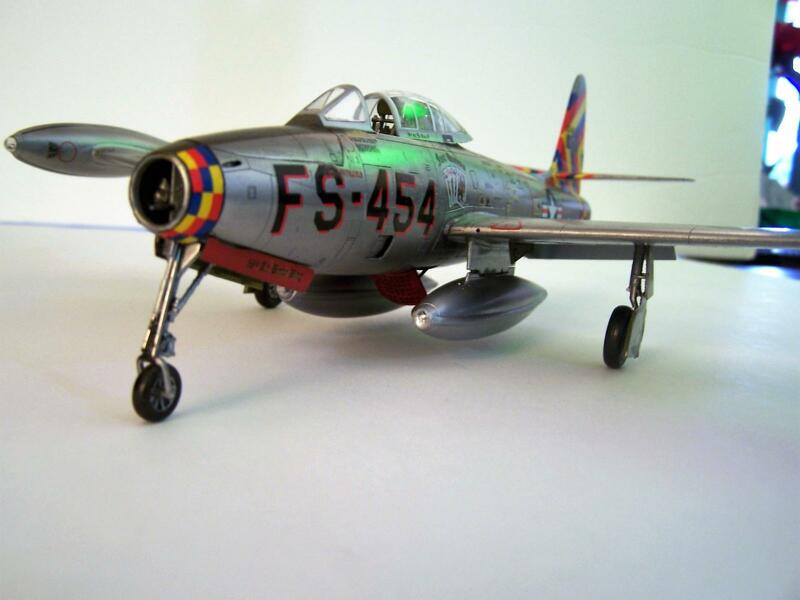 This is a great looking plane !!! 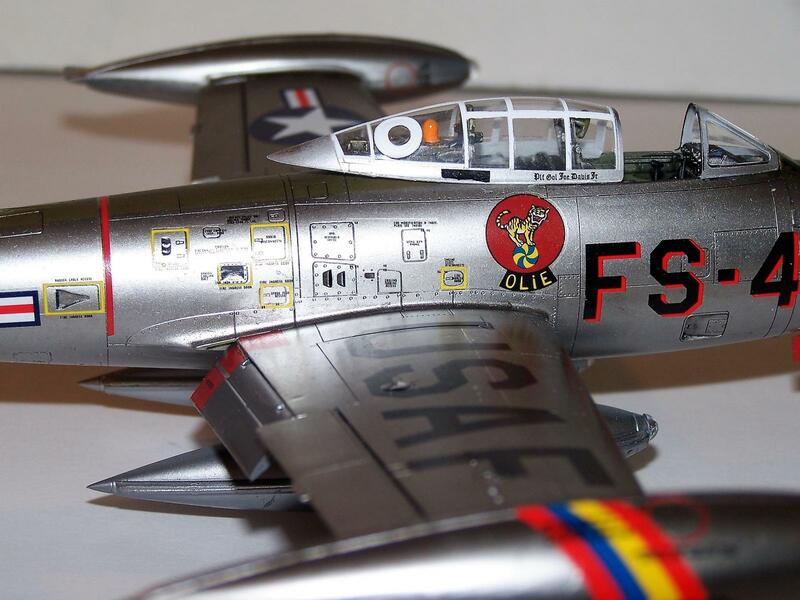 I especially like how you captured the look of the bare metal finish. 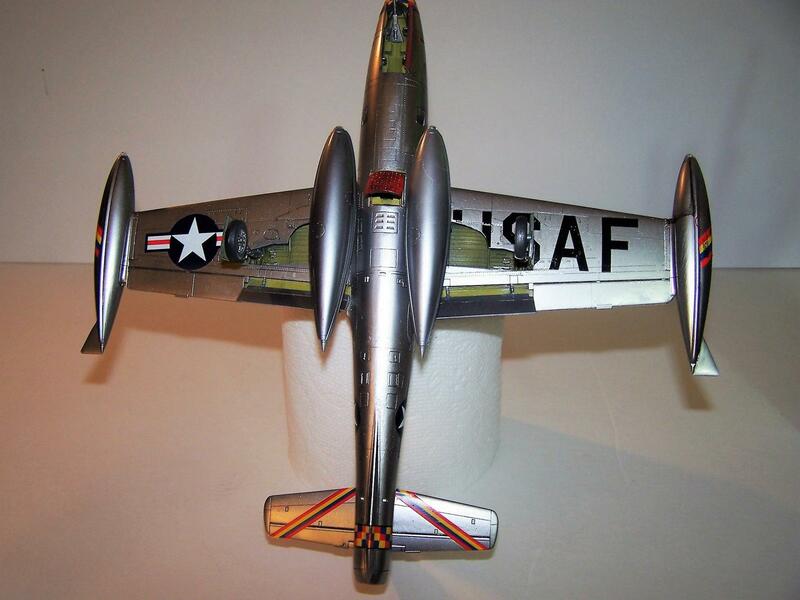 My Dad had a friend named Mike Rebo who flew these in the Korean War. 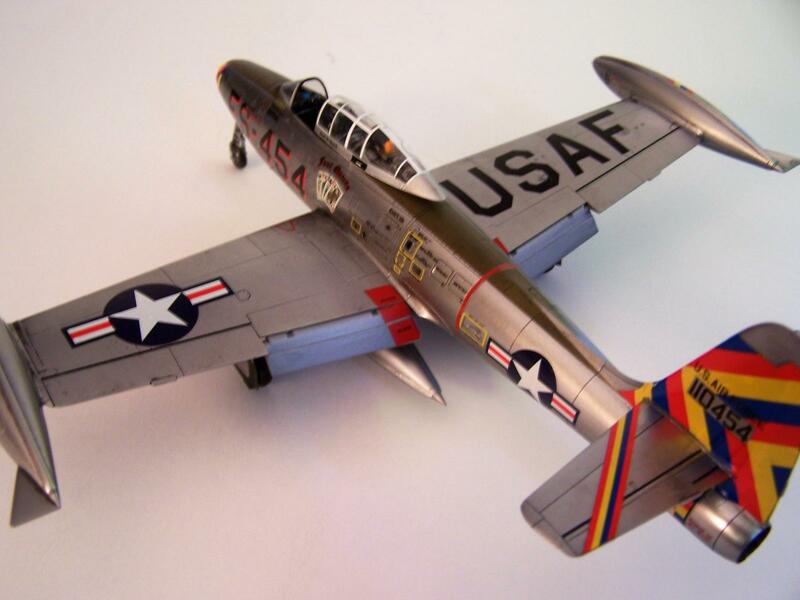 Sadly he was shot down and killed by a Russian Ace flying a North Korean Mig 15. He was listed for many years as MIA. His body was recently repatriated and returned to the US after a DNA sample was provided by his family. I plan on building up one of these very soon. I hope that mine turns out half as nice as yours. 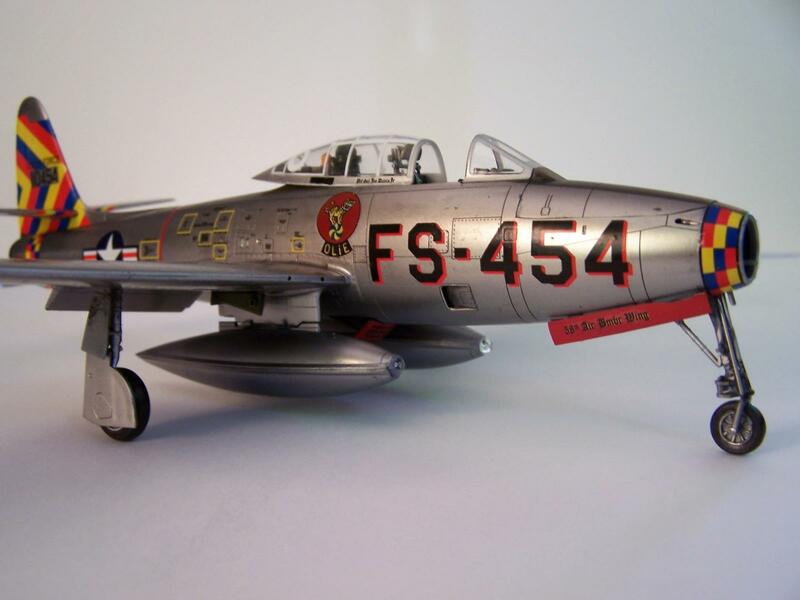 Excellent job on the F-84 Bob. It appears you used all the stickers provided in the kit. 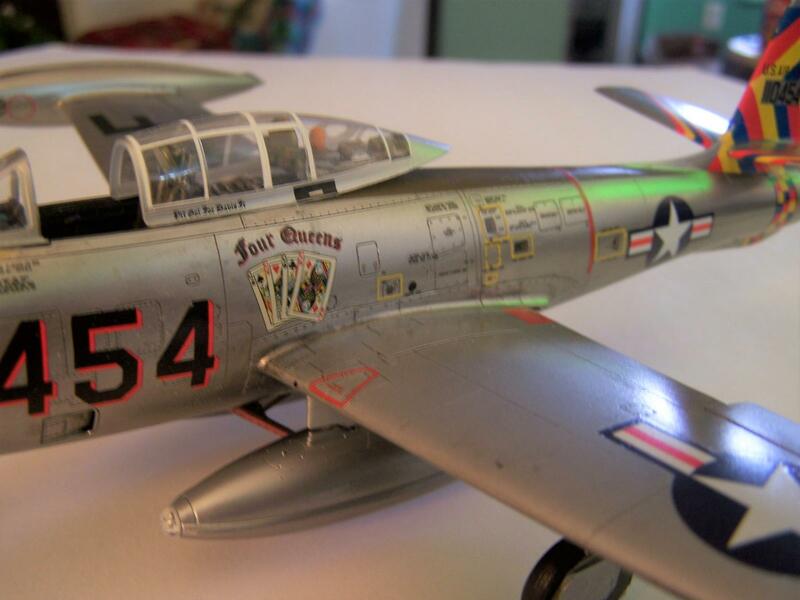 That’s what took most of my time with my Revell F-84, all those decals! However, it just doesn’t look the same with out them. Splendid looking model. 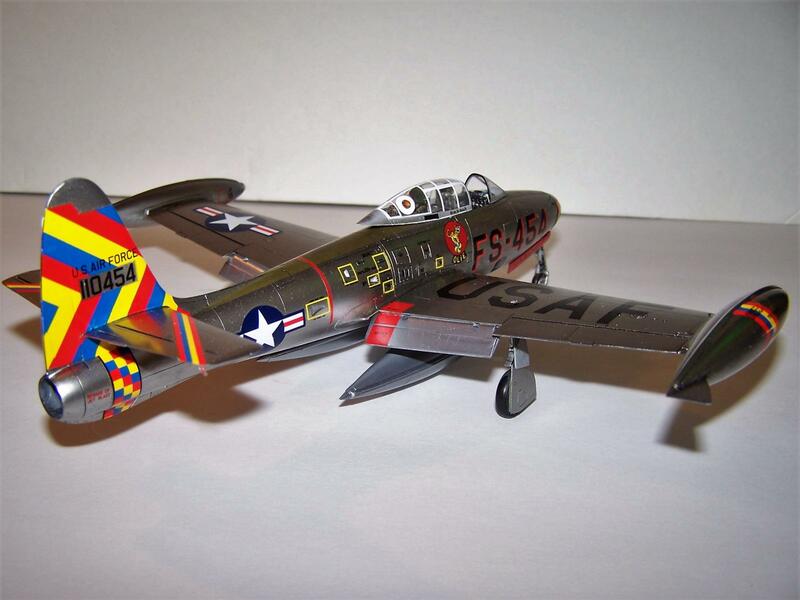 An excellent build Bob – love everything about it – the NMF, the colorful scheme – just a stellar build. And thanks for the info in the canopy framing – I may have missed that prior to building mine!